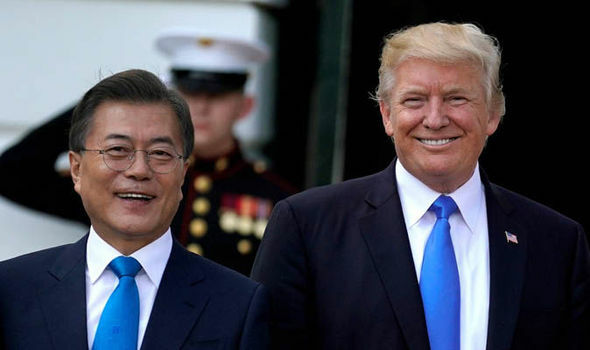 In a major story that is not getting nearly the coverage it deserves, President Trump made a deal with South Korea that is already showing the fruit of his fresh approach to international trade. The deal, which was announced on Wednesday, will be Trump’s first bilateral trade agreement and the first tangible evidence that his tariff threats are paying dividends. Without those steel tariffs hanging over South Korea’s head, it is unlikely they would have conceded as much as they did. Now we will have an agreement that helps the South Korean economy while swinging the underlining fairness back in the direction of the United States. In comments to the New York Times, Trump’s one-time chief strategist said that the next step for the White House was to make sure people struggling to make ends meet since the decline of the manufacturing industry understood what it was the president was doing with these tactics. The deal was also praised by Scott Paul, the president of the Alliance for American Manufacturing. Under the agreement, South Korea will be exempt from Trump’s tariffs on steel and aluminum, but they will be held to only 70% of its prior exports to the U.S. Also included in the deal is a doubling of the amount of vehicles the U.S. can export to South Korea without adhering to the country’s special safety requirements. Whether that will immediately make a big difference to U.S. automakers remains to be seen, but you have to think that Ford, General Motors, and others are looking at this opportunity with keen interest. This announcement is not just a shot of good news for the Trump administration, it’s a stunning refutation of all the naysayers in both parties who claimed that Trump’s tariffs would result in economic disaster. Every time – EVERY TIME – these so-called experts question what Trump is doing, he proves that he was right all along. He’s not just “winging it.” He’s not just flying off the deep end, like they want to believe. He’s taking a new approach – the approach he has advocated for decades, long before running for president. The approach that attracted millions to vote for him last year – some of whom had been lifelong Democrats. Think he’ll get his rightful credit?